In this course, the nature of Interior design that extracted from book written by John Pile & Judith Gura which titled “A History of Interior Design”. Interior design is a field that includes construction, architecture, furniture, decoration, technology, and product design.We will investigate interior design from cave dwellings and temple architecture, through Gothic cathedrals and Renaissance palaces, to the grand civic spaces of the nineteenth century and the sleek interiors of modern skysrcapers. This book will be our introduction and framework for the workshop. The session followed with a workshop of designing an interior of hotel bedroom. Participants will practice for 2.5 hours in a team with an interior designer as a mentor, then closed with review and sharing with fantastic snacks. 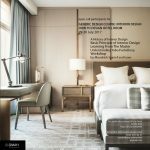 The session followed by a workshop to interpreting Yabu Phushelberg’s style and creating your own style in regard to yesterday workshop by incorporating the style into 2 options of designs, including drawings of perspective and elevation image of your hotel bedroom design. Because of limitation of the space, the participants will be selected and limited. The tuition fee is IDR 200.000,-. You will get design kit and other facilities for the course purpose including pattern and seminar book. This course is a starting of something that we are yet to feel and see, in the team, we are dedicated to giving our best for the participants to get the maximum learning curve in 2 days time. Mondrich Syarief is a founder of Studio Piu. 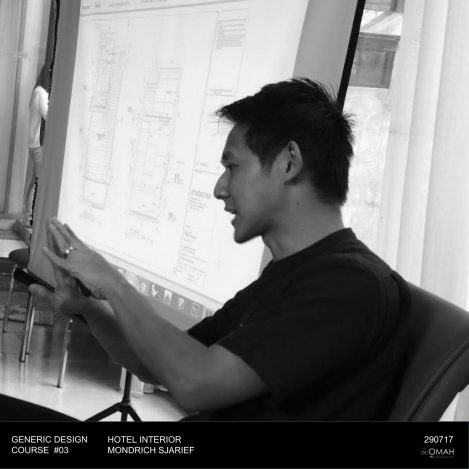 He graduated from Domus Academy Milan as Master in Service and Experience Design, and Tarumanagara University with degree Bachelor of Art in Interior Design. He has worked on various types of design projects during his time in Singapore, Milan, and Hong Kong. Besides his work experience, he also has won several national competition. Design thinking has strengthened him to be more intuitive, by recognizing the pattern and constructing ideas that are emotionally meaningful as well as functional. 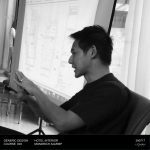 He has design several projects such as Novotel Ngurah Rai, Novotel Mangga Dua, Ibis Style Cemara, Ibis Style Kemang, Prudential office Central Park, and Traveloka office.